Finding something for the board game enthusiast in your life can often be a challenge. Our shelves are full of games, and it's hard to determine what game we are playing most or want next. To make gift buying a little easier this holiday season, here is a list of items that are sure to please every tabletop gamer. Many board games involve some form of currency, most often in the form of round cardboard discs. A set of realistic plastic or metal coins is always a great gift. My advice: take a look at a few of the games on your gamer's shelf, and then search the internet or your local gaming store for custom coin sets. 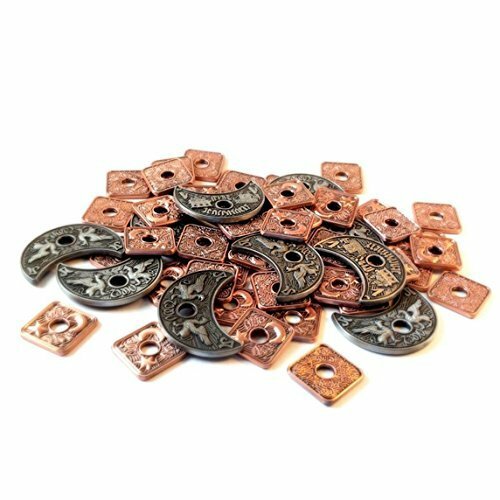 For example, the coins pictured above from The Broken Token are made specifically for the games Lords of Waterdeep and 7 Wonders. Alternatively, just look for a general set with 1's and two other denominations (e.g. 1, 3, 5 or 1, 5, 10). You can find many options on Amazon, FantasyCoin.com, and Minion Games. 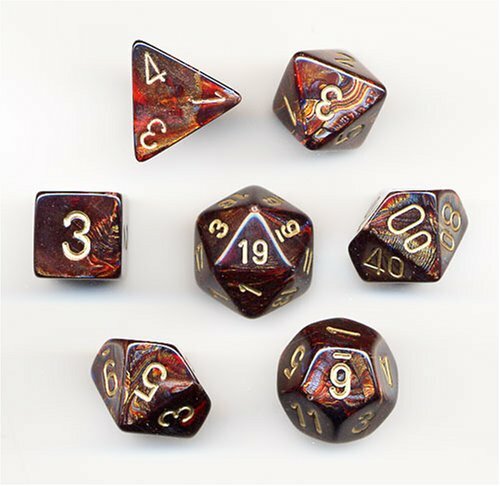 Who wouldn't want a set of custom dice? Dice are critical for game play in numerous tabletop games, and there many sources for amazing looking dice. Regardless of whether games require them, dice make a great decoration for any tabletop gamer's space. Case-in-point: the dice in the picture are Chessex "Blue Blood" series polyhedral dice. Board game companies, in an effort to keep games affordable, generally include a selection of cardboard tokens and wooden cubes to denote the various resources used in the game. 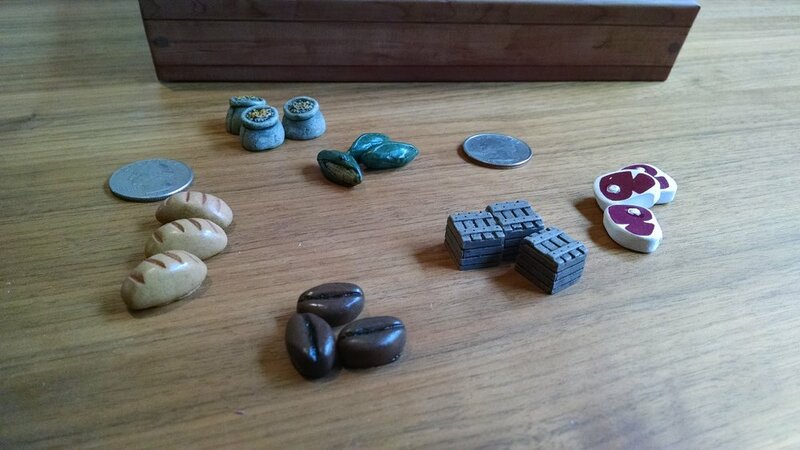 To really amp up a game's ambiance, every board gamer's fantasy is to have realistic resource tokens. In fact, that is what Board Games Enhanced is dedicated to. 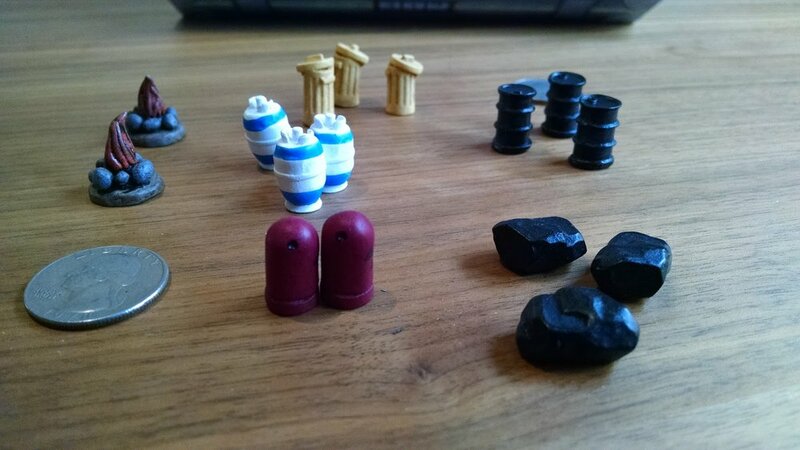 In my opinion, the best quality tokens are from Stonemaier Games. I also like those available through Mayday Games or MeepleSource. What gifts are you looking for this year? What are some of the gift ideas you have? Let me know in the comments!